This pack includes 26 .psd files with boxes and bags. Changeable colors and design of all boxes walls, wrapping paper, sticker, holder (via smart objects) and custom foil stamp color effect. 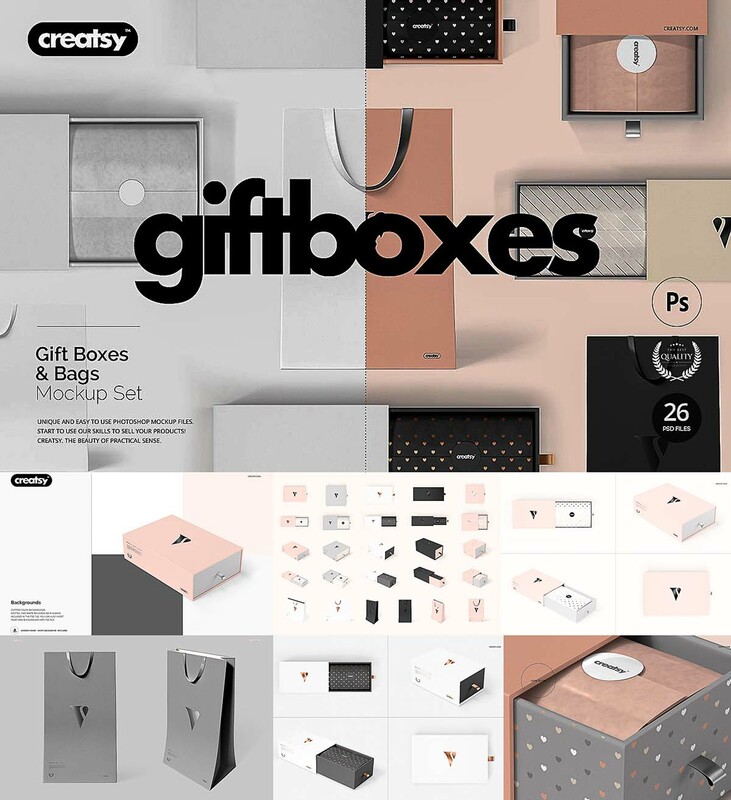 Tags: bag, box, branding, foil, gift, gold, paper, print, silver.